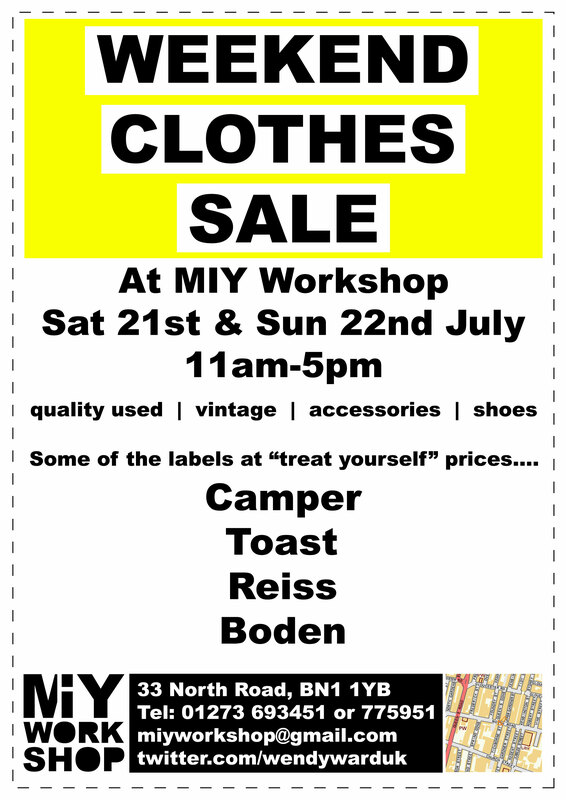 On the weekend of Saturday 21st and Sunday 22nd July MIY Workshop will be turning into a mecca of women’s retail therapy. There will be quality second-hand clothing, genuine vintage, accessories and shoes. Camper / Toast / Reiss / Boden / Karen Millen / Jaeger / Monsoon / Faith / Office / Fly / Irregular Choice / Coast / Noa Noa / Ghost / Zara / French Connection. Go on, you know you want to……! One weekend only. Open 11am-5pm both days. 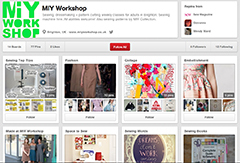 This entry was posted in MIY Workshop and tagged clothes sale, MIY Workshop. Bookmark the permalink.